Fold your black card in half and placing the fold towards the top away from you. Measure 15.5 cms along fold and along the middle of the card. Make a feint line and cut down from fold 10cm. Fold the smaller section down, but not completely to the edge leave at least a centimetre. Step 3 Make additional folds in this narrower piece to form mountain and valley folds. Mount the main image on, silver mirri or linen embossed silver card, with a very narrow border. Do the same with the backing paper of the map. Using your page from an old paper back book tear it and glue along the bottom portion of the easel card. When it is dry distress it with ink, I used Broken china to match the blue in the image. Using the tyre image stamp I curved it on the stamping block and stamped across the paper with Walnut Stain to make a single tyre track. The silver card candi is glued into each outer corner and the greet embellishment placed in the middle with foam pads. The clock, speedometer and circle image were added to the folds of the stepper card. These would have been nice to have mounted again on images cut from circular dies but I wanted to keep the card simple. 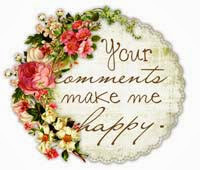 A greeting sheet could be added for the sentiment to be written on. Use a piece of paper 12 x 24 cm folded in half it can be glued under the image along the top fold. Hope you like the card. The technique for making the stepper card can be adapted to any topper size and you can place it in the centre, left or right of your card. Fabulous tutorial Laura. Thank you for this fabulous creation. Thanks Linda. Have had a go at changing the look of my Blog today, cannot get it as pretty as yours and some of the others that I visit.